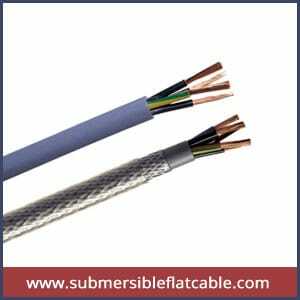 A shielded cable is an electrical cable of one or more insulated conductors enclosed by a common conductive layer. The shield may be composed of braided strands of copper or aluminum mylar tape, or a layer of conducting polymer. Usually, this shield is covered with a jacket. The shield acts as a Faraday cage to reduce electrical noise from affecting the signals, and to reduce electromagnetic radiation that may interfere with other devices. The shield minimizes capacitive coupled noise from other electrical sources. The shield must be applied across cable splices. In shielded signal cables the shield may act as the return path for the signal, or may act as screening only. This shielded control cable and is designed for use with machine tools, control systems, assembly lines, Shielded Flexible Cable Dealer, grinding machines, bottling equipment, data processing equipment, and for connections between control panels and machines. It is oil resistant flexible control cable.